High-quality storage cabinets are a must-have for mechanics who wish to store all of their supplies and tools. It’s crucial for mechanics to invest in heavy duty storage cabinets that are strong and dependable. Flimsy cabinets cannot accommodate bulky parts reliably. They tend to deteriorate rapidly, too. That’s the last thing that busy mechanics need. If you’re a mechanic who lacks the space for storage cabinets, you don’t have to worry. That’s because you can always turn to the convenience of storage bins. Storage bins are often extremely roomy. Mechanics can place them in all different parts of their garages if necessary, too. 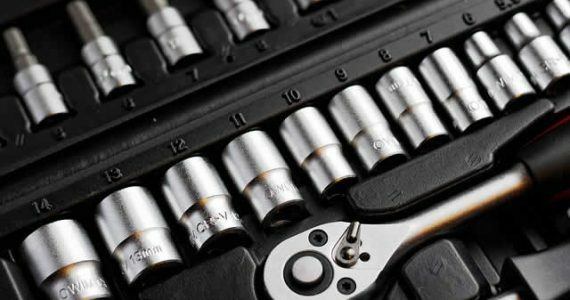 Mechanics can safeguard pliers, screwdrivers, brake cleaner formulas, socket adapters, oil filter wrenches and more inside of storage bins. These bins are available in many convenient sizes. Mechanics sometimes have rare tools or parts that they don’t have to use frequently. If you want to stop certain things from unnecessarily taking up space inside of your garage, you should think about going for storage unit rental. Renting a unit that’s accessible through a storage facility can free up a lot of wonderful room in your garage. It can make it simpler for you to access things you use daily as well. Few things can be more unpleasant and bothersome than miscellaneous items that waste valuable garage space. If you’re a mechanic who wants to organize your garage well, you should take the time to take care of any clutter you discover. If you find tools that you’ll never use, donate or toss them. If you find random objects that people gave you years and years ago, donate or toss them, too. A tidy garage is essential for mechanics who are committed to success. Intelligent mechanics are methodical individuals. They’re also people who comprehend the undeniable power of organization. If you want to thrive as a mechanic, you need to keep your garage orderly at all times.